After a one night stop near Columbia we continued south towards our first Thousand Trails park. 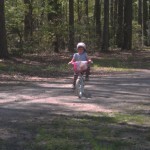 We purchased a Thousand Trails, or TT, membership to help save money on camping fees. There are different types of TT memberships*** but with ours we can stay up to 2 weeks at a time with no fees at one of their campgrounds or hop from park to park every 4 days. We were most excited about this park because we knew it was within driving distance of the BEACH 🙂 After asking around, we decide to go to Hunting Island State Park to stick our toes in the salty water and discovered it is BEAUTIFUL! 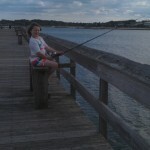 They also have a pier for fishing so we are hopeful of catching some dinner. 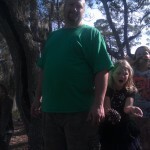 While riding around we see lots of Spanish Moss hanging in the trees so I look up the legend to read to the girls. 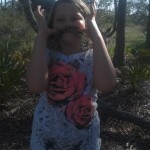 They liked pretending to have an “old mans beard”. One of our favorite parts of traveling so far is meeting new people. The Bus is definitely a conversation starter. Because this campground is near the interstate there are new people coming and going constantly. 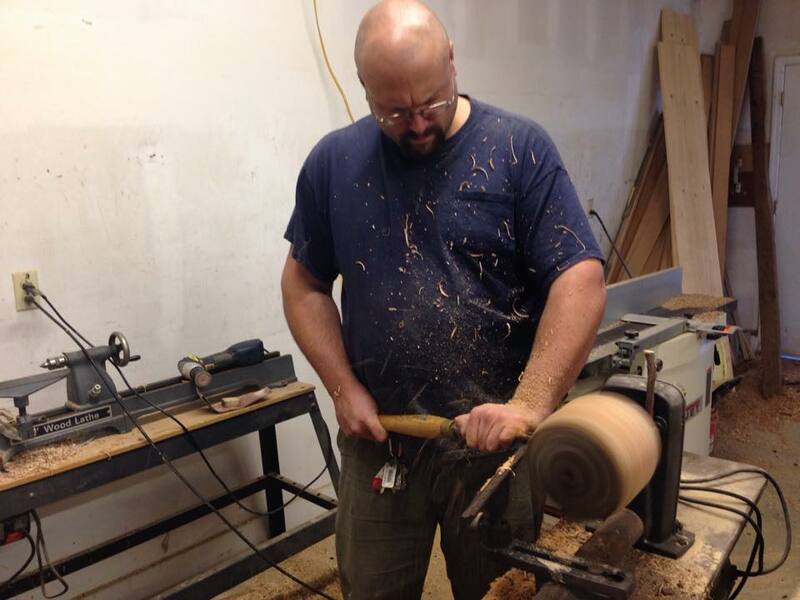 Jody mentions he is a mechanic and there are a few people he is able to help by changing a tire, servicing a RV heading north to Canada, and diagnosing some fuel problems for our new neighbors. The girls are enjoying making crafts and delivering to people in the park; Laini especially because she is thrilled to become a solo bike rider and she becomes a little pro quickly!!! 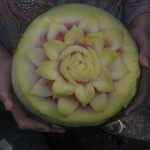 Our neighbor friend carves the girls a watermelon as they watch and they are delighted to see the flower take shape. 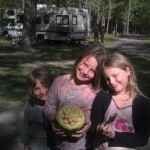 They appreciate the carvings beauty but are anxious to eat the watermelon. We are constantly organizing and reorganizing to try to find all of our stuff a place in the bus. 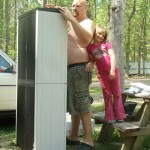 Jody and Laini put together a new cabinet made from recycled materials so we can have some more shelf space. 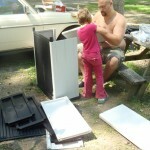 The girls love being helpers. 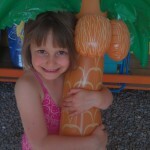 This entry was posted in Discounts, Family Fun, Workamping and tagged Discounts on April 13, 2012 by Chasity.